Join us and train like a PRO! Join us and TRY LAX! 18 yrs old and up. Team organizers should email mforma@gmail.com to secure a spot in the league. Don't Delay! Team organizers will have their registration fee waived. You play Free! In the event of inclement weather, we make every effort to keep the programs on schedule. When chances of inclement weather are above average , we ask all parents to remain at the venue in the event of thunder and lightning, where players are to return to their cars until determined safe. Sessions may be shortened to accommodate poor weather. In extreme cases, we will send an Alert text message and post to this website if we are forced to cancel . As always, Please use your best discretion in poor weather. Established in 1998, Patriot Lacrosse offers boys lacrosse players clinic based instruction, summer elite teams and community outreach opportunities. Patriot Lacrosse Clinics, Camps and Box Lacrosse, offered for boys in grades 3-8 emphasize the fundamentals through advanced skills of the game. Our exceptional staff, programmed instruction and low player to coach ratio is the ideal way for the novice player to start and for the experienced player to take his game to the next level. Patriot PeeWeeLax and Kinderstix, Offer provide the groundwork for the future elite lacrosse player. Kinderstix is a Co-ed k-2 program that focuses on fundamental stickwork while incorporating fun and safe play. PeeWee Lax is for the young all star, fully equipped, boys in grades 1-2 start to build their lacrosse IQ. Both programs utilize SwaxLax balls, a softer, no bounce ball that plays like a regulation ball. Patriot Elite Teams are for the elite player in grades 4 thru high school who wishes to be coached by the best and to compete with and against the best players in the country all year long. Learn more about our college recruiting philosophy here. Patriot Outreach Program is rooted in the belief that "giving back" is an essential component of character development. Patriot Outreach offers community service opportunities in the lacrosse community and supports community service opportunities of its members. Patriot Lacrosse offers lacrosse camps, clinics, elite teams, box lacross, summer lacrosse leagues, youth winter leagues, and many more opportunities to take your game to the next level whether you are a beginner or advanced athlete. With coaches from the top programs in New Jersey, including Delbarton, Bergan Catholic, Randolp, as well as college coaches, we have always put player development before anything else. We have sent players on to the NCAA, MLL, and National team level, including Division 1 champions on the Loyola and Duke lacrosse teams over the past three years. NJ lax is one of the most underrated hotbeds for the sport, and we will take you to the next level. Players in our programs come from all over the Tri State area, from Morris County, to Yorktown, including everywhere inbetween. 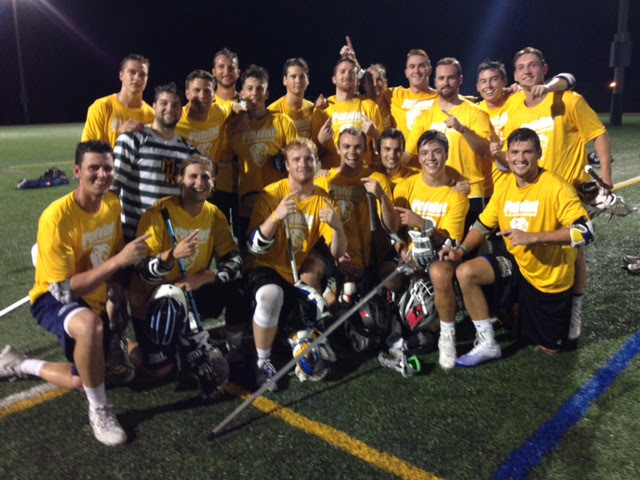 We have been the leading lacrosse program in NJ since 1998. Our focus is on building the complete student athlete to give them an edge when it comes to taking the necessary steps forward both on and off the lacrosse field. Team organizers should email to secure a spot in the league. Don't Delay!